German painter and draughtsman. 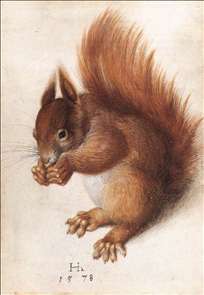 He was first mentioned in 1576 in the Nuremberg "Ratsverlässe" as a painter and citizen of the town. He lived in Nuremberg until 1584 when he was called by Duke William V of Bavaria to the court in Munich. From 1585 he was court painter to Emperor Rudolph II in Prague, where he received an annual salary of 100 thalers until his death. The artistic achievements of Hoffmann s Nuremberg period is much better documented than his later career: most of his known paintings and drawings date from the years between 1573 and 1585. Hoffmann is perhaps best known for his numerous copies after drawings by Drer. He was among the most gifted of the many artists working at the end of the 16th century in a stylistic trend that has come to be known as the Drer Renaissance. He made not only exact or slightly changed copies but also free variations of Drer s originals, and also different versions of one and the same drawing, signing perhaps one with his own monogram, another with that of Drer. 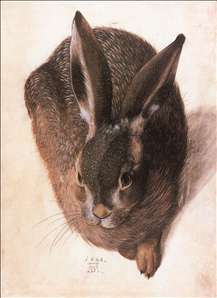 See more details about "Hare"
See more details about "Squirrel"